Lot:3046 1847-C Liberty Head Half Eagle. AU-50 (PCGS). 1847-C Liberty Head Half Eagle. AU-50 (PCGS).Appealing golden-olive surfaces are warmly and evenly patinated. 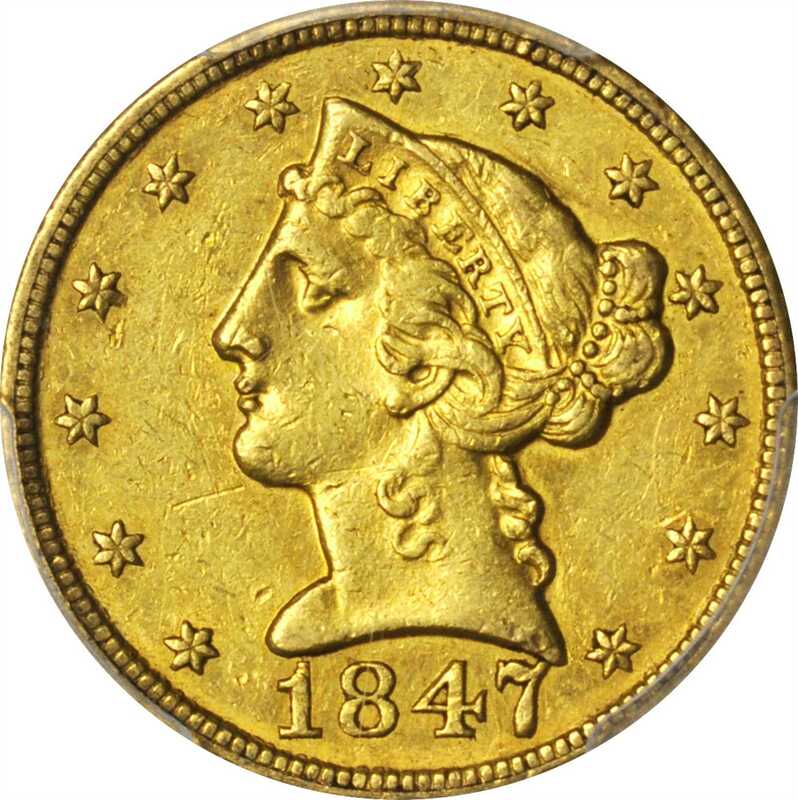 The appearance is uncommonly original in a lightly circulated Southern gold coin from the pre-Civil War era, the desirability of this example further enhanced by flickers or original luster that are boldest when observed with the aid of a strong light source. While the 1847-C has the highest mintage (84,151 pieces) among Charlotte Mint half eagles, it is not the easiest Charlotte Mint five to locate finer than EF-45; high grade survivors are rarer than those of the 1849-C, 1850-C, 1852-C, 1853-C, 1857-C and 1858-C. Expect fierce competition for this boldly defined and inviting AU.